One of many cropped street trees in our city, pruned under powerlines to create absurd forms. Street trees often take on strange shapes, having been 'enthusiastically' pruned while growing under power lines, or overhanging busy roads. Chook Tree is a classic example of an 'Absurditree', which highlights the collision of demands for space: of human's needs (for power and roads) and of space required by nature to thrive. 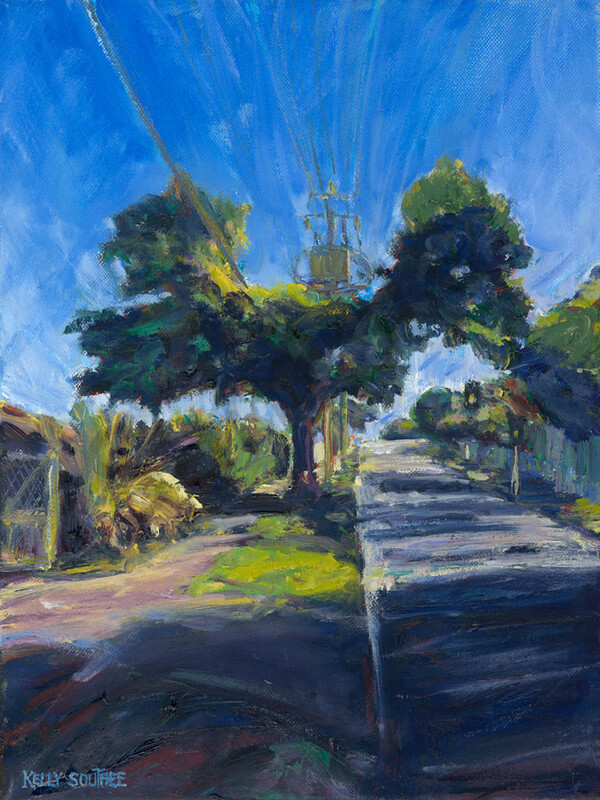 Chook Tree was exhibited in 2013 at my solo show 'Absurditrees'. I am offering limited edition prints of this iconic Brissy tree. Sadly it was chopped down, as something had to give: either the powerlines go, or the tree does!